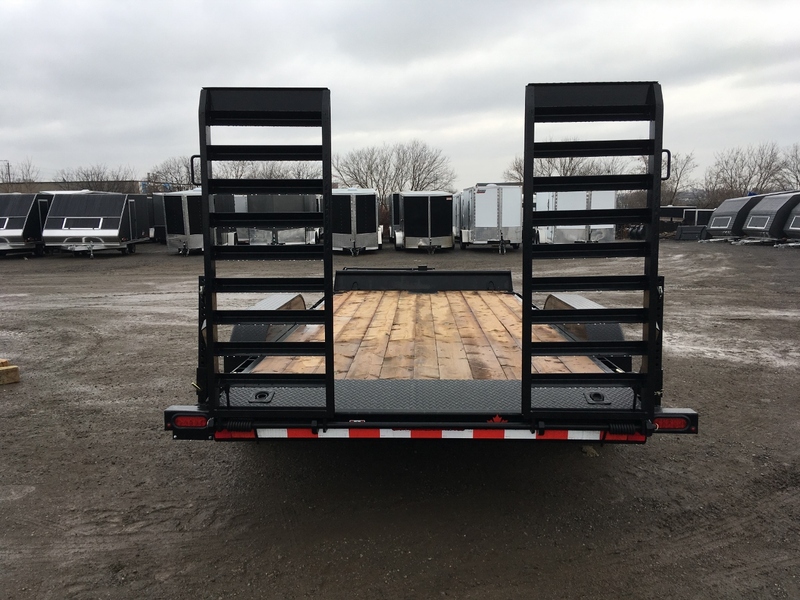 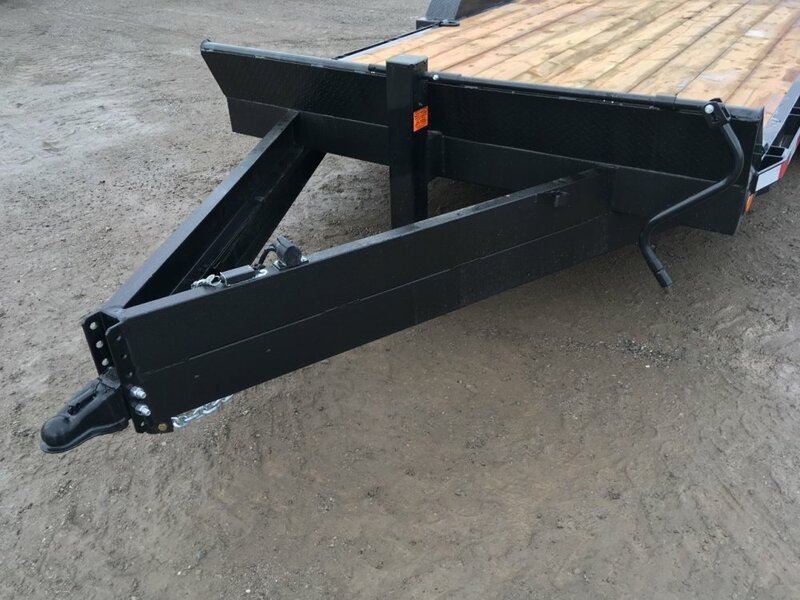 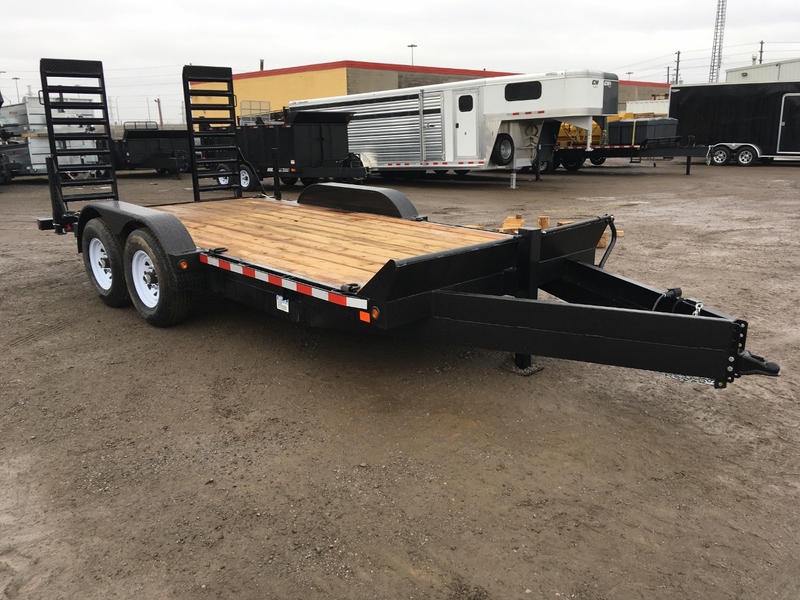 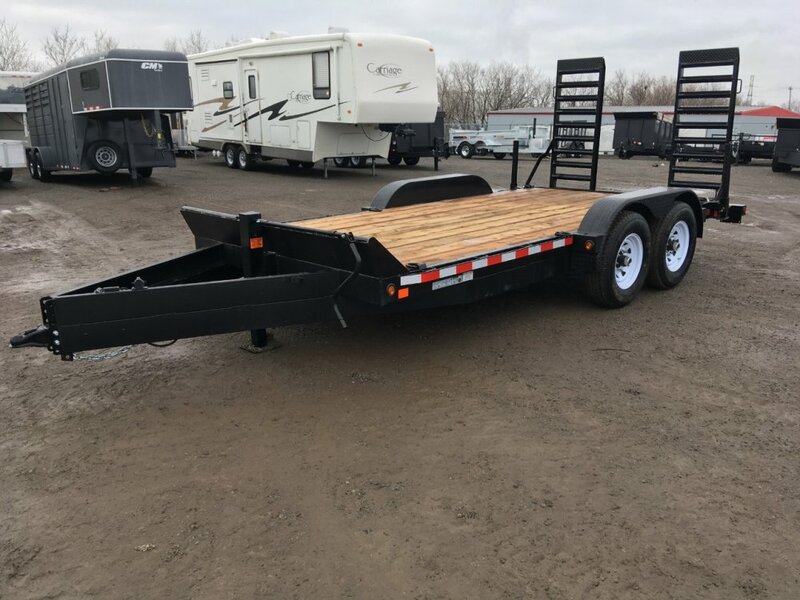 7x16 Premium Steel Equipment Trailer with tandem 7000lb Axles. 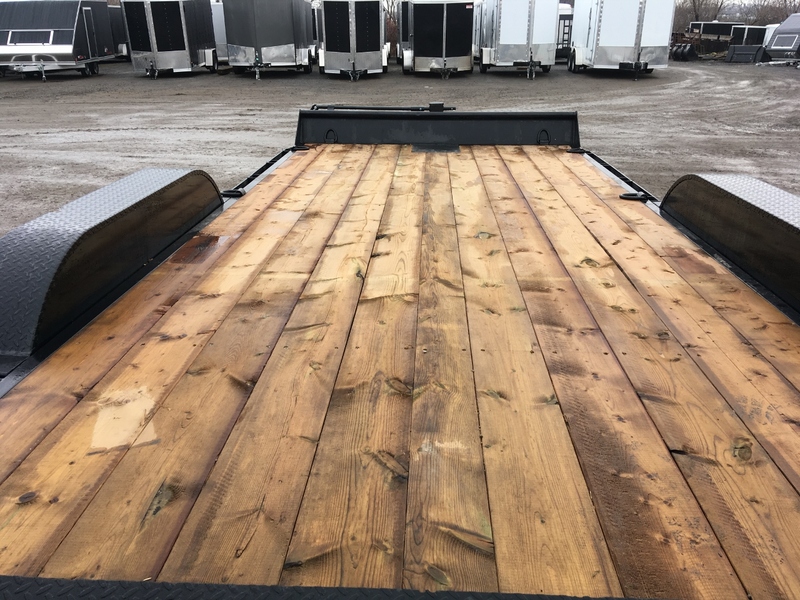 15' pressure treated plank deck plus 1' checkerplate beavertail. 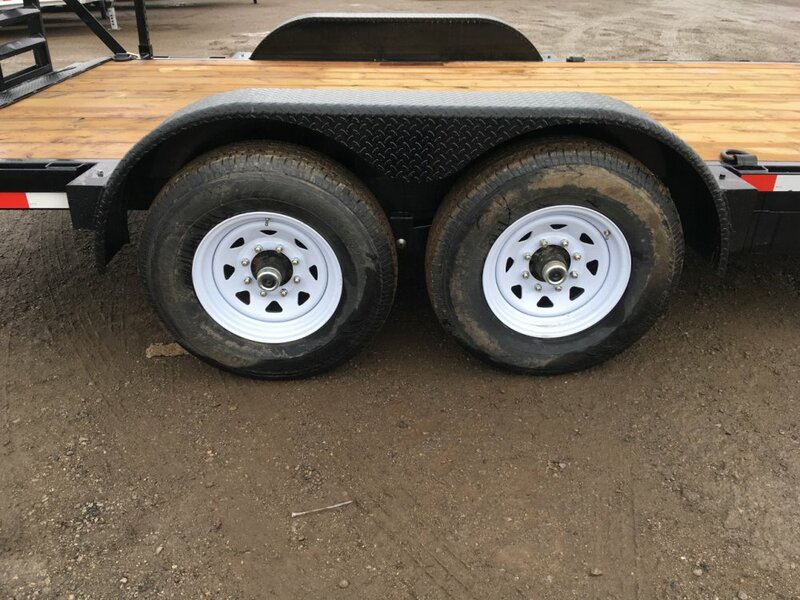 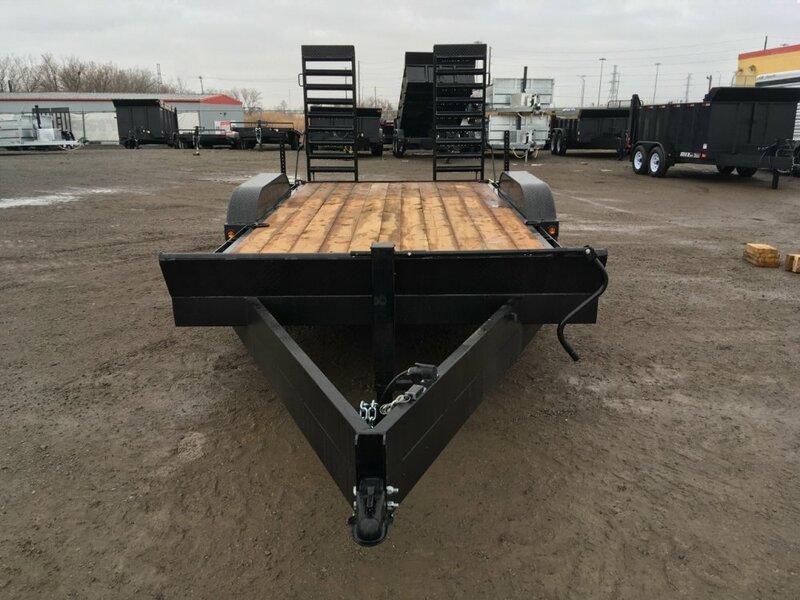 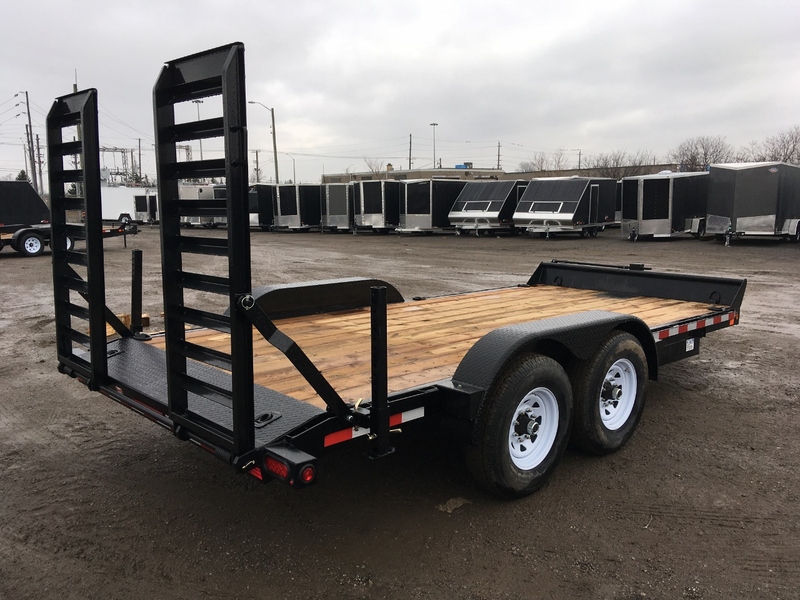 10 d-rings, rub rails and stake pockets, solid bump rail, winch plate, slipper suspension, walk on fenders, rear stabilizer legs, stand up angle iron ramps, 83" between the fenders, 12" extended tongue with 2 sections of channel, 12K spring loaded drop leg jack, adjustable coupler.